- Вообще-то к учебному самолёту в обязательном порядке в комплексе идёт его тренажёр! Как это "не можем учить лётчиков"?? Это нонсенс... Я 47 лет назад обучался первые полгода на прекрасном чешском тренажёре для Л-29. Это был просто восторг! Что-то якобы пошло не так: "Ministerstwo Obrony Narodowej w oświadczeniu przesłanym Defence24.pl potwierdziło, że dwa samoloty M-346 Master (polska nazwa Bielik) dostarczone w listopadzie zeszłego roku do Dęblina nie mogą symulować uzbrojenia zgodnie z założeniami umowy. Problemy dotyczą rakiet powietrze-powietrze AIM-9X i AIM-120C, powietrze-ziemia/woda AGM-84, AGM-88, AGM-65G2, bomb kierowanych: GBU-12E/B, GBU-38, GBU-31 oraz zasobników szybujących AGM-154. Większość z tych typów uzbrojenia jest używana na polskich F-16. W związku z tymi niedociągnięciami odbiór maszyn wstrzymano". Не могут имитировать "применение" вооружения своих Ф-16, предусмотренное договором. Закупки сверх двух поставленных приостановлены... Может взаимное недопонимание? מטוס הלביא יחל סדרת שדרוגים, שיכללו שדרוג תוכנה וכן הוספת יכולת נשיאה של מיכלי דלק נתיקים ופצצות אימון אינרטיות. השדרוג נועד לפצות על יכולות שאבדו בעקבות הוצאת מטוסי הנץ משימוש. Rsd Arrows вчера в Хельсинки. Красота! WASHINGTON — The U.S. Air Force’s light attack experiment is officially over as of Aug. 30, but it will be months before the service makes a decision on whether to hold a combat demonstration, its top civilian said Thursday. Speaking to Defense News and its sister publication Air Force Times in an exclusive interview, U.S. Air Force Secretary Heather Wilson said the service had concluded test flights at Holloman Air Force Base, New Mexico, and plans to complete reports on the cost and performance of each aircraft by the end of this year. The light attack demo, which started late July, included the A-29 Super Tucano offered by Sierra Nevada Corp. and Embraer, the AT-802L Longsword from L3 Technologies and Air Tractor and the Scorpion jet and AT-6 Wolverine turboprop, both made by Textron. “I would expect this fall, or certainly by December or January, that we would make a decision on whether to do a follow-on experiment — it would be a combat experiment — and which aircraft might participate in that,” Wilson said. 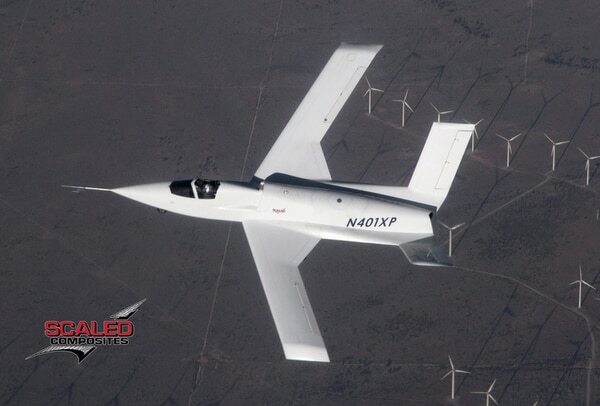 Northrop Grumman subsidiary Scaled Composites debuted a new experimental aircraft, Model 401, in an Oct. 11 announcement of the prototype’s recent first flight. Итальянская компания Leonardo на авиационной выставке Dubai Airshow, проходящей в Объединенных Арабских Эмиратах, представила новый легкий истребитель, разработанный на основе учебного самолета M-346 Master. Как сообщает Defense Aerospace, боевой самолет получил обозначение M-346FA, где последние две буквы в индексе означают Fighter Aircraft (боевой самолет, истребитель). Сегодня несколько компаний в мире занимаются созданием боевых версий своих учебных самолетов. Это делается для того, чтобы заработать на продажах такой техники тем странам, которые не могут позволить себе приобрести полноценные легкие или тяжелые истребители или штурмовые самолеты. Новый легкий истребитель M-346FA сохранит основные летные характеристики исходного самолета. От базовой модели он также унаследовал систему дозаправки в воздухе и бортовое радиоэлектронное оборудование. Легкий истребитель получил семь точек подвески: две — на законцовках крыла, по две — под левой и правой консолями крыла и одну — под фюзеляжем. На истребитель установили модернизированную радиолокационную станцию Grifo-346 с активной фазированной антенной решеткой. Обновленный радар может обнаруживать самолеты противника на большем расстоянии чем обычная импульсно-доплеровская станция. Другие подробности о самолете не уточняются. Согласно заявлению Leonardo, уже несколько представителей ВВС разных стран заинтересовалось новым боевым самолетом. О каких именно странах идет речь, в компании не говорят. Ранее сообщалось, что M-346FA будет сертифицирован для применения авиационных бомб и ракет. В рамках программы сертификации с модифицированного учебного самолета M-346 уже были сброшены учебные бомбы Mk.82 калибра 226 килограммов и авиационные бомбы Lizard с лазерным наведением. Кроме того, на самолет установили пушечный контейнер с пулеметом калибра 12,7 миллиметра. Между тем, Leonardo планирует сделать сделать учебный самолет M-346 Master модульным. Благодаря этому заказчики базовой версии самолета смогут без особых сложностей изменять ее, добавляя необходимое оборудование. В результате этого они смогут превратить учебный самолет в легкий истребитель или в штурмовик. Основной задачей при разработке модульного самолета, согласно заявлению Leonardo, является сохранение базовой конструкции планера самолета. При этом инженерам предстоит так рассчитать места установки точек подвески для вооружения, чтобы они не сказывались отрицательно на сроке службы планера. Кроме того, часть оборудования, которое на учебном самолете размещено в носовой части, планируется перенести в хвостовую. Освободившееся место займет радиолокационная станция. Предлагать варианты доработки учебных самолетов M-346 до боевых версий планируется после того, как они будут сертифицированы. Сертифицировать версию легкого истребителя планируется в 2018 году. Помню-помню.. Это ведь абсолютно логично. У нас сейчас тоже такое делают. - Действительно: не отставать же от итальянцев?! Это принципиальная проблема, когда вам поставляют борт, который согласованной спецификации не соответствует, и его нужно "дооборудовать". Boeing has broken its silence about why the two trainer aircraft it built specifically for the U.S. Air Force’s $16.3 billion T-X competition have not flown over the past several months. The company tells Aerospace DAILY that it is “focused on the competition, not promotional flights,” having already submitted its T-X proposal in March and the corresponding flight-test data in June. From September 2016 to April 2017, Boeing was on a promotional blitz, starting with the rollout of the first Boeing T-X (BTX) aircraft at its St. Louis plant. That milestone was quickly followed by the type’s first flight on Dec. 20, 2016, and then the first sortie of the second copy, called T2 or BTX-2, on April 24. Since then, the company has not made any fuss about its flying operations, except announcing that final assembly would take place in St. Louis. If selected, Triumph Aerospace Structures would supply the wing, vertical tail and horizontal tail structures, and Swedish partner Saab would stand up a manufacturing hub stateside, so that 90% of the aircraft was built locally. The company has not toured its aircraft. Instead, it brought a full-scale replica to the Air Force Association’s Air, Space & Cyber Conference in Washington in September. Now, as the one-year milestone approaches since the Air Force’s request for proposals for 350 next-generation training aircraft, one must ask, where is Boeing? The project to replace the 1960s-era Northrop T-38 as a lead-in trainer for fighter and bomber pilots has come down to a three-way race between Boeing, Lockheed Martin, and Leonardo DRS. Boeing teamed with Saab to offer the clean-sheet BTX. Lockheed and Leonardo DRS offered derivative models: the Korea Aerospace Industries T-50-based T-50A and Leonardo M346-based T-100, respectively. Having the only clean-sheet design, Boeing has more to prove. But one year on from first flight, it is not clear how many times both BTX aircraft have flown or how many flight test hours they have accumulated. Boeing won’t say, nor will it confirm, the last date of flight. There is no publicly available flight tracking data for either Boeing T-X models, which were registered with the FAA as experimental aircraft, tail numbers N381TX and N382TX. Boeing has not released any recent images, videos or press releases featuring either aircraft flying. But the company says it can and will fly if needed. “We continue to fly as needed, but aren’t putting unnecessary hours on the jets,” a Boeing Military Aircraft spokeswoman said Dec. 8. The three vendors recently received evaluation notices back from the Air Force evaluation team, along with a notice that the timeline for a source-selection decision has slipped into July, a seven-month delay. Boeing says it might fly if more flight-test data is needed to close the loop on an evaluation notice. But there is no other pressing reason to log flight hours. During a media tour in May, Boeing officials said these first two aircraft are “no-kidding production jets,” and would support an expedited engineering and manufacturing development program, if Boeing wins. The aircraft would be airborne within “single-digit months” of a contract award, immediately following a government-led system requirements review. The flight-testing data collected from the heavily instrumented T1 or BTX-1 aircraft by Boeing between December and June was submitted to the government to validate that the proposal meets or exceeds all of the T-X air vehicle performance requirements. That data included records of flying maneuvers, cockpit videos, and time-synced pilot voice recordings. There was no fly-off, and companies did not need to submit an aircraft for government testing. The two BTX aircraft were flown by Boeing test pilots. At the height of testing, they were flying up to three or four sorties per day. The company had been considering flying media and VIPs, but now seems to have decided against it, without explanation. Meanwhile, Lockheed’s T-50A has literally been flying circles around the competition, using two aircraft operating from Greenville, South Carolina. Those jets have registered more than 100 sorties since flight operations began in November 2016. Over the past year, Lockheed has flown multiple journalists in the T-50A—most recently Rob Schmitt, the television co-host of Fox & Friends First. Lockheed probably targeted Fox & Friends because U.S. President Donald Trump is a regular viewer. The T-50A also flew at the Joint Base Andrews Air Show in September, which Trump’s visited on Sept. 15. The T-50A is an upgrade of the 1990s-era T-50. More than 150 T-50s are in active service around the world. Leonardo’s T-100 still has not appeared in the U.S., but if selected would be built at historic Moton Field in Tuskegee, Alabama. The company had two aircraft flying in Italy as part of its T-100 bid, but they have since returned to the M346 program. The M346 military trainer has been adopted for fighter pilot training by Poland, Singapore, the UAE and Israel, with more than 60 now in active service. 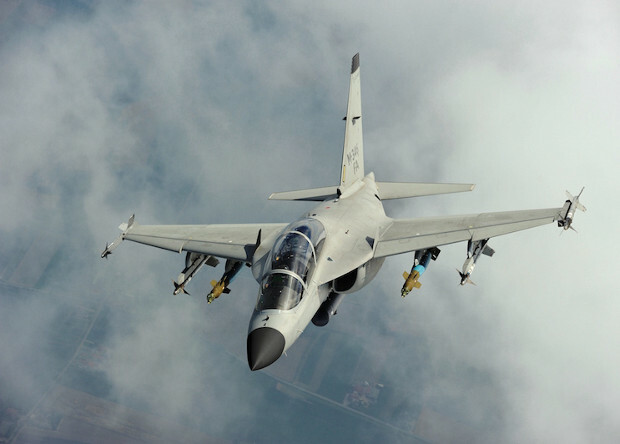 Boeing joined forces with Saab to capture T-X on Dec. 5, 2013, after conceptualizing a design. The team went from concept to completion within 36 months.